Capped off the fall with a 5-4 singles record and a team-leading eight doubles wins… had an impressive doubles run at the ITA All-American Championships with partner Nandini Das…the Seminole duo won three straight matches in pre-qualifying to advance to the qualifying draw…ended the fall with a singles flight championship at the Seminole All-Conference Showdown for the second straight year…also earned a back draw doubles title with partner Julia Mikulski at the All-Conference Showdown. Finished the fall with a 9-4 singles record and an 8-5 doubles record…went 2-1 in singles and 1-2 in doubles during the Furman Fall Classic…again went 2-1 in singles and 1-2 in doubles during the Northwestern Wildcat invitational…she defeated Georgia Sanders 6-3, 6-4 in the third place match…went 2-1 in both singles and doubles at the ITA Southeast Regional…defeated Nicole Dzenga of USF 4-6, 6-1, 10-7 to advance to the quarterfinals…advanced to the doubles quarterfinal as well with partner Nandini Das, the two defeated Damira Muminovic and Arina Taluyenko of Georgia State 8-5 to reach the quarterfinal…won the Spear bracket in both doubles and singles at the FSU All-Conference Showdown…defeated Christina Jordan of West Virginia 6-1, 6-2 in the singles finals and defeated Ma and Estguerra of East Tennessee State 8-6 in the doubles finals. 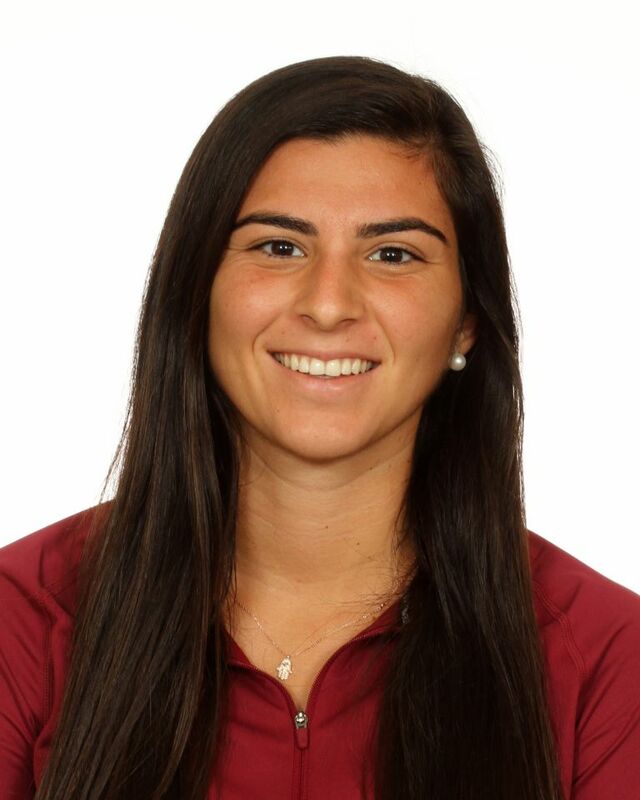 Finished her inaugural season in Tallahassee with a 16-9 singles mark and 6-12 doubles record…dealing with an injury much of the season, beat two ranked players in singles, No. 63 Clementina Riobueno of Miami and No. 73 Spencer Liang of Florida, the only Seminole point against the Gators…clinched the match against No. 37 NC State for the Noles with a 6-3, 4-6, 7-5 win over Tayla Stenta, the lone road ACC win for the Seminoles. Career-high of 153 in the ITF Juniors rankings (7/28/14)…singles record 46-29…doubles record 42-27…won the singles and doubles titles at the XXIII Copa Merengue in Santo Domingo, Dominican Republic…won five rounds of singles without dropping a set…won the singles and doubles draw at the Copa Cariari 2014 in San Jose, Costa Rica…won doubles at the Jalisco Junior Cup in Guadalajara, Mexico…won the singles title at the Queretaro Junior Cup in Querataro, Mexico…4-5 career record in the Fed Cup playing for Costa Rica. Born December 29, 1996…cousin plays professional rugby in Argentina…majoring in sport management.